The time-honored traditions of Christmas are dear to the hearts of Christians today. The story of the first Christmas recaptures the imagination as it is retold year after year in Bible readings, carols, Christmas pageants. As you sing the traditional song, “Away in a Manger” or set up porcelain replicas of the Nativity scene, you may imagine a wooden structure as the covering over sweet baby Jesus. Some are surprised to learn structures used to shelter animals in the time of Jesus’ birth were actually caves made from readily available stone. Lumber was considered much too precious to be used for this purpose. It is probable the manger was made from the same type of stone. Stone mangers, like the one Jesus could have been born in, have been excavated in Bethlehem that date back to this time period. The exact spot where the Lord was born, has been the subject of investigation and controversy. The only information the Scriptures gives is contained in the words of Luke, that when Joseph and Mary arrived at Bethlehem, they could find no place at the inn, and that, when Jesus was born, she was compelled to put the new-born babe in a manger. Bethlehem is just a few miles south of Jerusalem. It is dotted with numerous caves made from the light limestone of the region. The caves were easily made into many shapes and were always dry. They were naturally used for many purposes. Groups can explore one of the ancient caves, like the one Jesus was probably born in, to get a very realistic idea of what the conditions would have been like there in Bethlehem when Mary gave birth to our Savior. 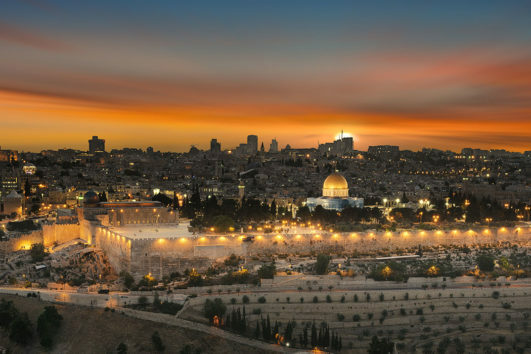 See exciting Bible tour locations like the Christmas Cave on a 2017 Holy Land tour or if you would like to travel with your group to the Holy Land or other locations, see what group travel options we can offer. Customized group travel tour options are available as well.